Please select the year to view the Past E-Banners. Do not miss this 2 days event which will dwell in depth into the technical aspect of strategic workforce management and its alignment with business goals, planning and forecasting future workforce needs, adapting to current macro factors as well as mastering workforce analytics to enhance productivity. Do not miss this opportunity to be a part of this South East Asia regional event with a unique blend of case studies, expert insights, round tables and panel discussions geared towards helping you to achieve business success! Economic and social importance of corporate learning and education, technology to support virtual and mobile learning across geographical boundaries, business performance improvement emanating from increased knowledge and skills and emotional intelligence, communities of practice and collaborative working. Brief Introduction -: SSON Suzhou is the most comprehensive, end-user led event yet for the exploration of planning strategies, launching processes, post-establishment highlights and transformation milestones. Join regional and global business leaders to discuss best practices and exchange insights on the best-fit country models & operations for alignment with global transformation, and sustainable delivery models. Leverage and enhance finance strategy to unlock value within the business. Finance transformation is the key for the business to still reap profits even during economic instability. Join over 150 of the region's leading CEO's, chairmen and business owners focused on buyouts, growth capital, distressed asset and venture capital investment assessing the top opportunities in Indonesia, Vietnam, Singapore, Malaysia, Thailand and the rest of Southeast Asia. Brief Introduction -: Implementing effective performance and risk management strategies to maximise returns on your investment.The 5th Annual Investment Performance Analysis and Risk Management (IPARM) Asia 2012 conference is the largest event in Asia that focuses on investment risk and performance management. The conference brings together CEOs, Managing Directors, Chief Investment Officers, Chief Risk Offi cers, Heads of Performance and Heads of Portfolio Management to address the latest trends, current challenges and best practices in investment risk and performance management. Learn from the best and meet T. Harv Eker LIVE – REGISTER NOW!! You can contact any of Success Resources sales personnel at (65) 6299 4677 for further information. Alternatively, you can register at thefollowing website www.srpl.net for securing your seats. 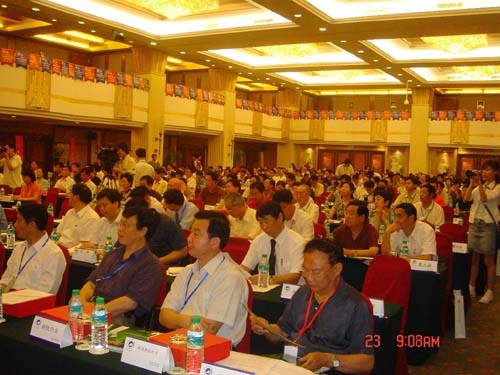 The WFPMA (www.wfpma.com) holds a World Congress on Personnel Management every two years. Its aim is to enable HR professionals to build a global community of peers, to discuss new developments and to network with colleagues from around the world who face similar complex challenges in human resource management. International Professional Managers Association UK is delighted to collaborate SHRI in endorsing the Congress. Our International Professional Managers Association Academic Advisor, Professor Sattar Bawany, presented a paper "Developing Knowledge Management Strategies" at the Congress.Click here to download a copy of the Prof. Bawany's presentation. Appended below link are the photographs taken at the Conference. The successful candidates in the International Professional Managers Association Professional Part 2 examination, the Post Graduate Diploma in Management, were duly elected as Licentiate Members of the Association in December 2005. We are pleased to welcome them as Licentiate Members and look forward to their contribution towards improving professional management excellence. 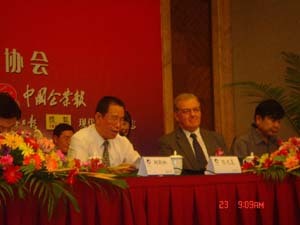 The conference was titled ‘China Management Conference' and was held in Beijing on Sunday and Monday the 18 th and 19 th December 2005. 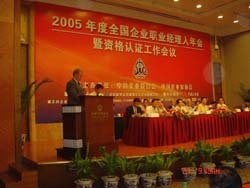 The conference was to celebrate the first 25 years of the China Management Sciences Society (CMSS). A number of distinguished contributions were made from across the world which reflects the international status of the CMSS and the International Professional Managers Association was honoured to have taken part and to make a contribution. Deputy Chairman International Professional Managers Association - Terry Morris gave a keynote address "Modern Challenges for the Professional Managers" The text of his speech which is of extreme relevance to all of us as Professional managers today. 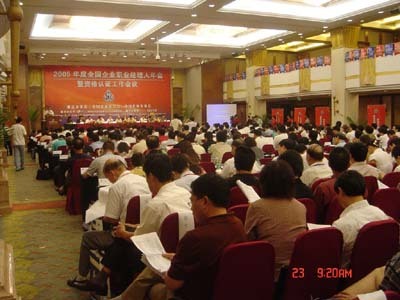 held in Beijing, China on 23rd July 2005.
entrepreneurs (employers) and business groups operating in China. CEC/CEDA with have 290 group members and over 550,000 business members, plays a leading part in safeguarding the legitimate rights and interests of enterprises and entrepreneurs (employers). Our Association is honoured to have been invited to attend this important Conference and it gives us an opportunity to address the participants in terms of global developments and the trend towards professionalism and the need for effective management and performance in Industry, Business and in the Public Sector. We are also pleased that our International Professional Managers Association will be working very closely in a collaborate arrangement with CEC/CEDA for the development of relevant training programmes and certification of their managers for joint awards. In his speech, Terry Morris, our Deputy Chairman emphasised how greater competition has subjected organisations to enormous pressures to be more efficient by doing things better and at less cost. 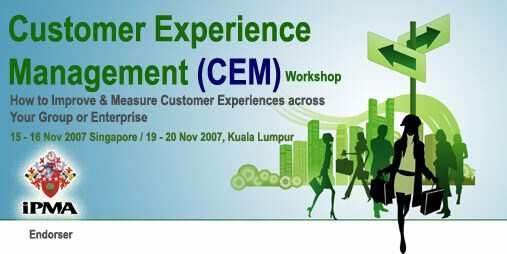 There is also the need to meet customers demands quicker and better than their competition. There is also a demand for managers to think and act internationally, skills, knowledge and behaviours are needed to succeed in an international setting and a support association to support them. This is the role of the International Professional Managers Association. 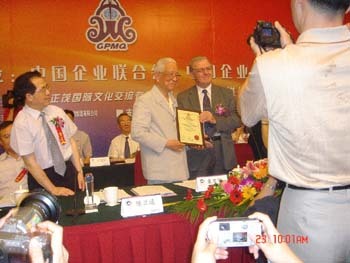 During the Conference the International Professional Managers Association awarded Mr Yuan Bao Hua an Honorary Fellowship for his contribution to improving economic management,business administration,governmental administration,and management education in China.